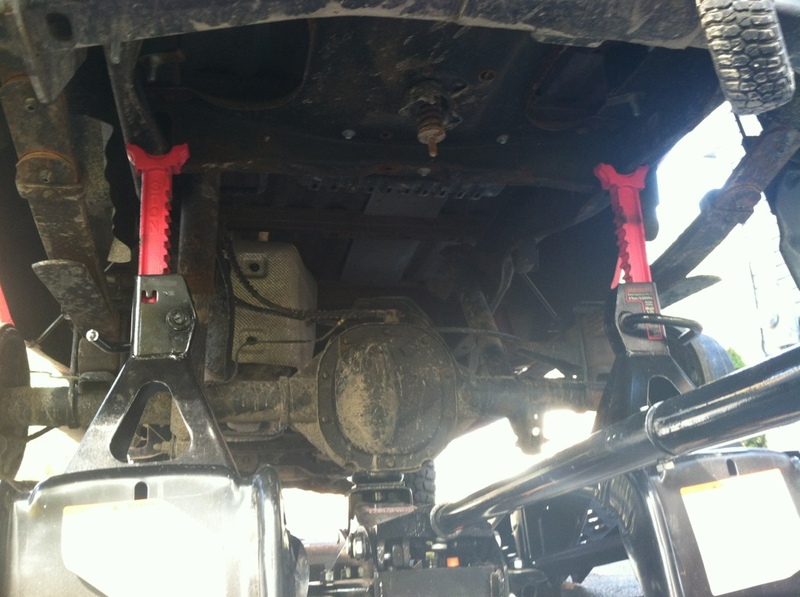 Fairly simple install that takes about an hour with proper tools. Yes, I know my truck is filthy. I haven't washed or moved it since I went to the latest meet. 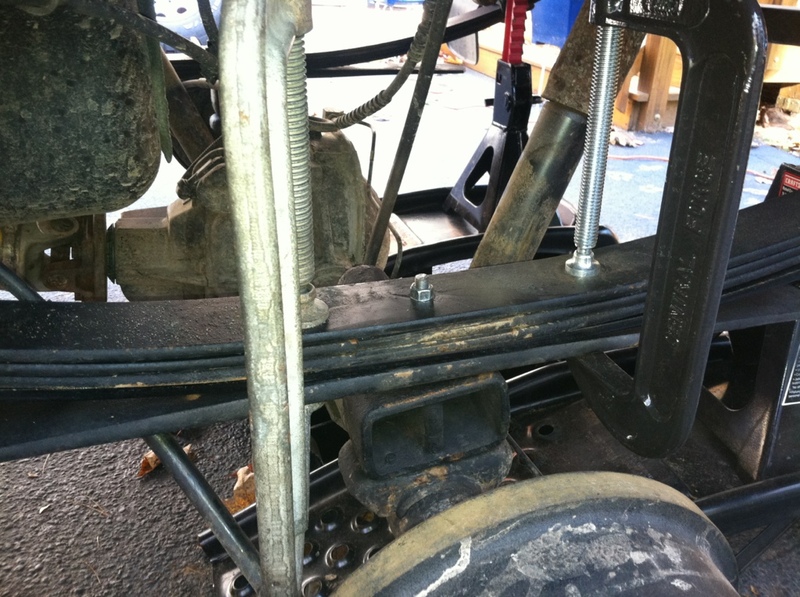 Impact Gun (you could make do with a 1/2" ratchet and breaker bar"
The day before you're going to do this mod, I suggest spraying the nuts on the top of the leaf spring plate which hold the ubolts to the axle that way when you begin, they won't give you any trouble. Mine zipped right out with the impact gun. Break loose the lug nuts on your rear wheels. Do not remove them or loosen them a lot yet, this is just so you can zip them out once they're in the air without the need of using the parking brake. 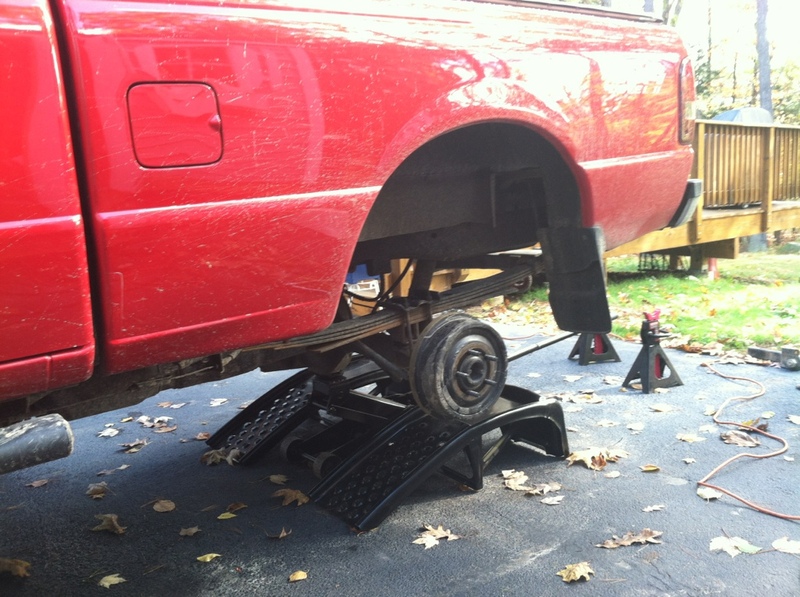 Jack the back of the truck up from the rear differential, place your ramps parallel with the frame rails of the truck and place your hi-lift jack stands on the flat part of the ramps. 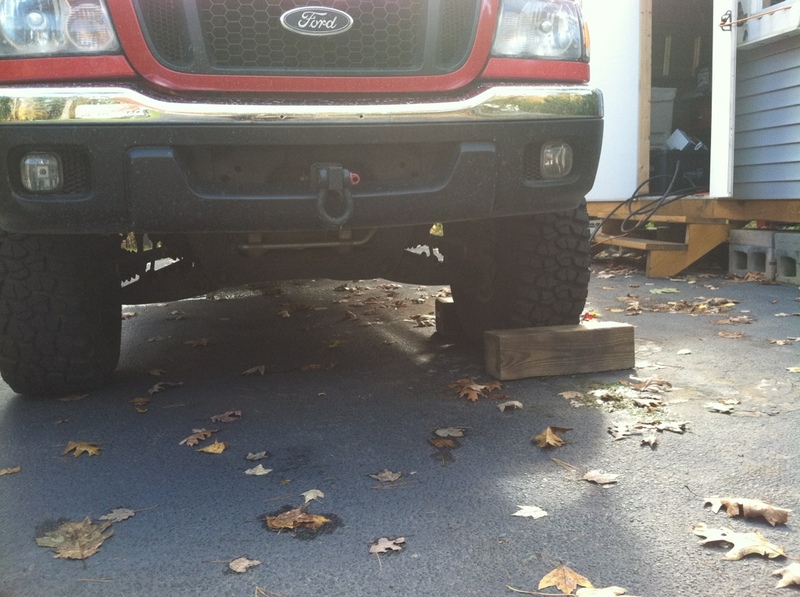 Lower the truck down slowly so your frame fits perfectly into the "claw" of the jack stands. 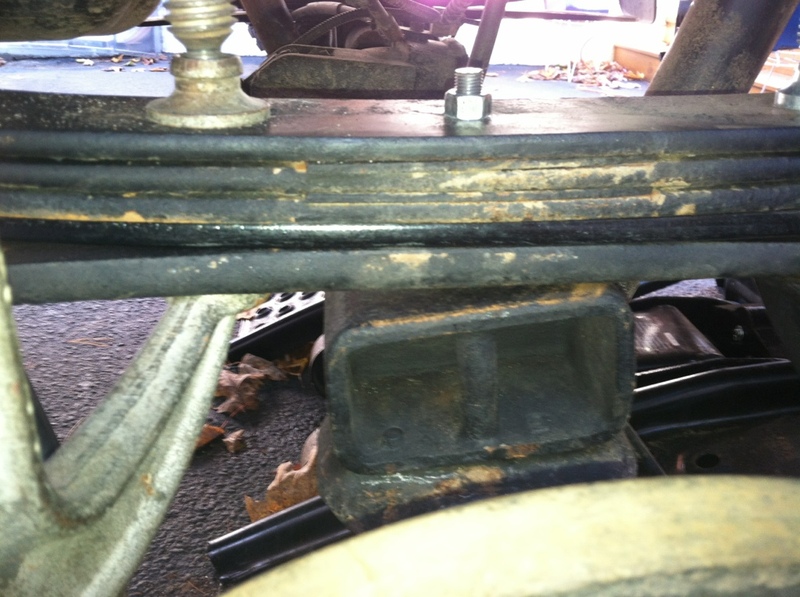 Remove the 4 18MM nuts (2 per ubolt) that hold the leaf spring plate. Remove the ubolts and spring plate. Discard old ubolts and nuts. *Before anyone even asks why to discard the ubolts and nuts, its because once they're torqued onto the truck once, they stretch. 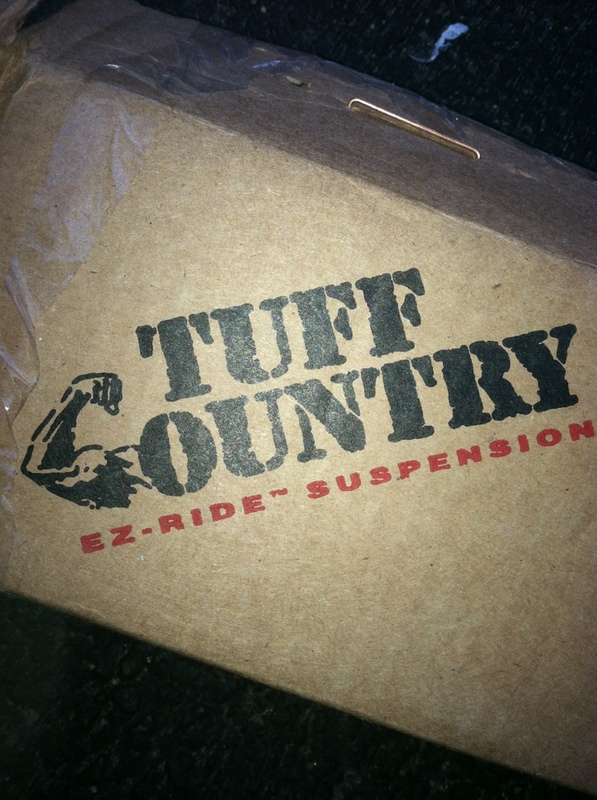 Torquing them down again will just weaken them, putting you and your truck at risk of something failing in the future. 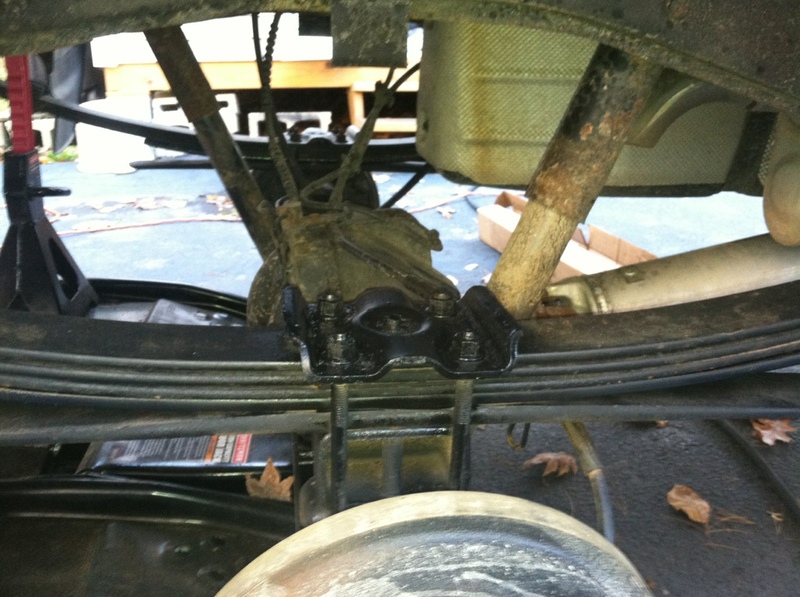 Take your c-clamps and place them on the leaf packs holding them together somewhat tight for the next step. 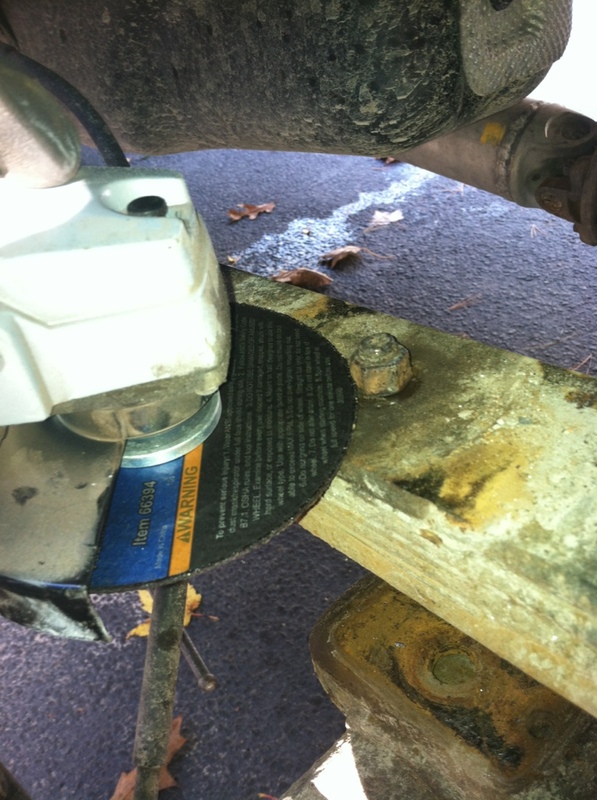 Now, take your angle grinder with a metal-cutting disc and cut off the center pin bolt. 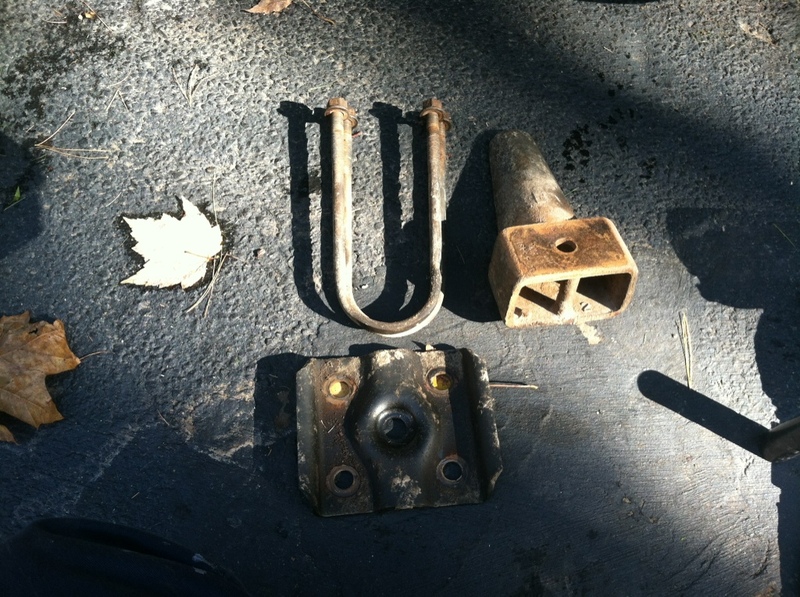 * sometimes the center pin bolt will be stubborn to remove through the individual leafs, this is when your air hammer comes into play. A quick burst will blast it through the bottom. 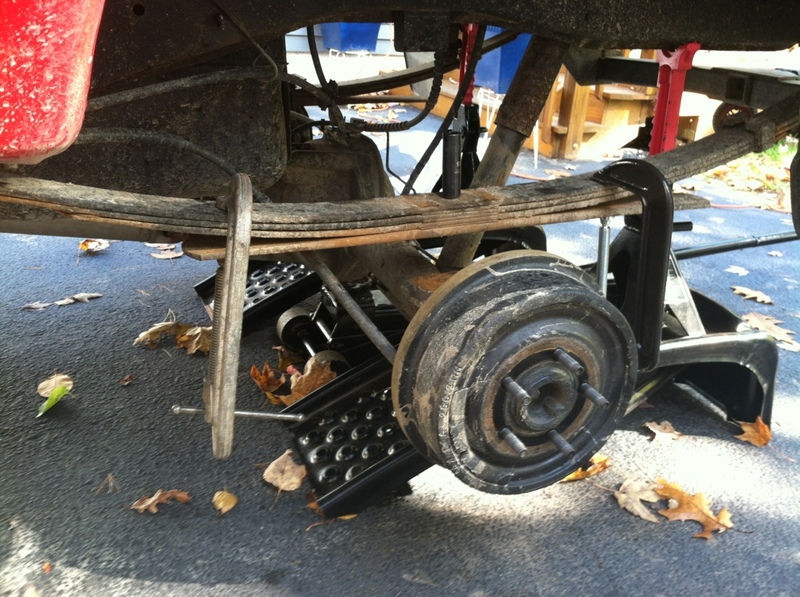 Slowly loosen your c-clamps and remove your helper spring (the flat one at the bottom). Place your new add-a-leaf on top of the helper spring *NOT UNDER EVERYTHING* and slide the new provided center pin through all of the leafs in the pack including your new add-a-leaf. thread on the new provided nut just so the pin doesnt drop out of the bottom. 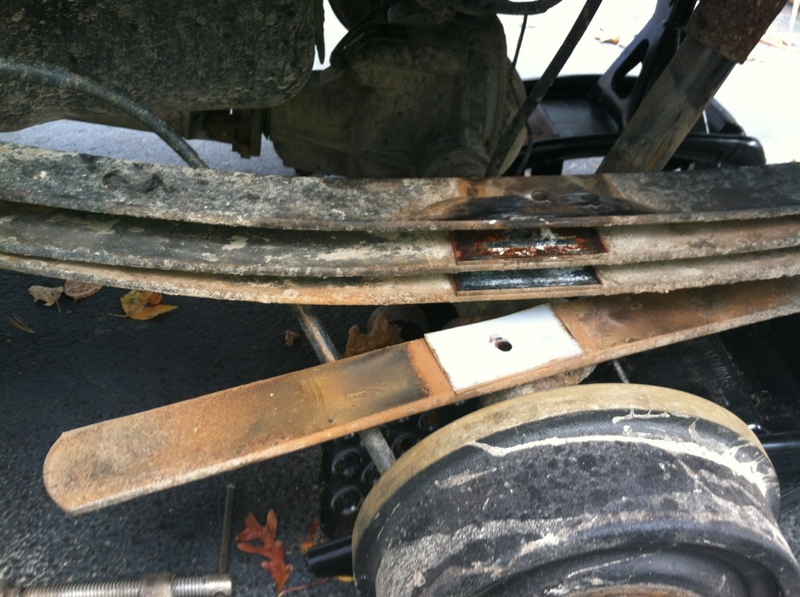 Once again, use your c-clamps to tighten the leafs together. 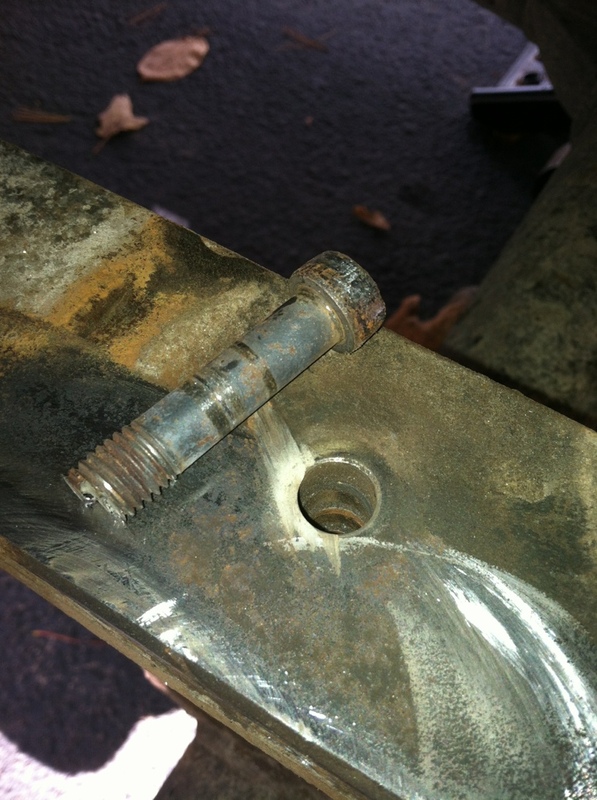 Make sure the bottom of the center pin is lined up with the hole on the perch on your axle. Slide your rear block back in. Put it in from above your drum and going inward, its the easiest way. 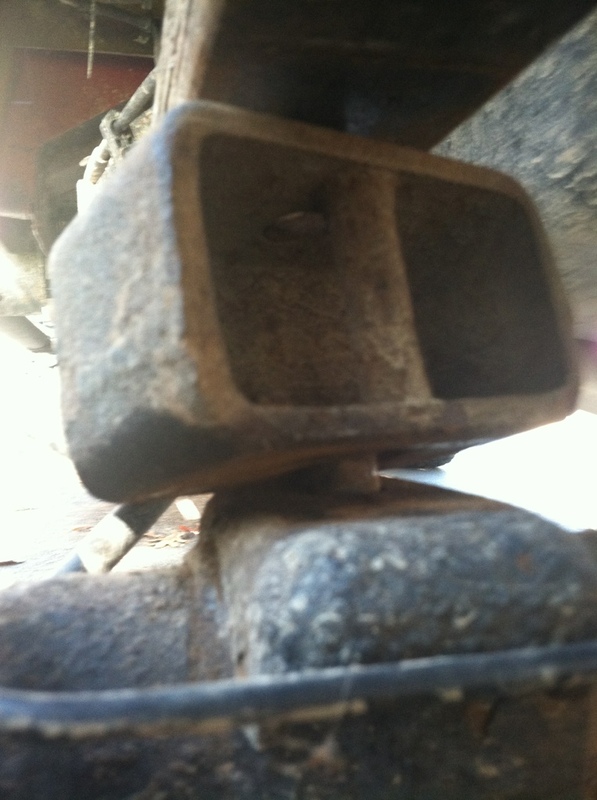 make sure the block goes into the hole on the axle perch. 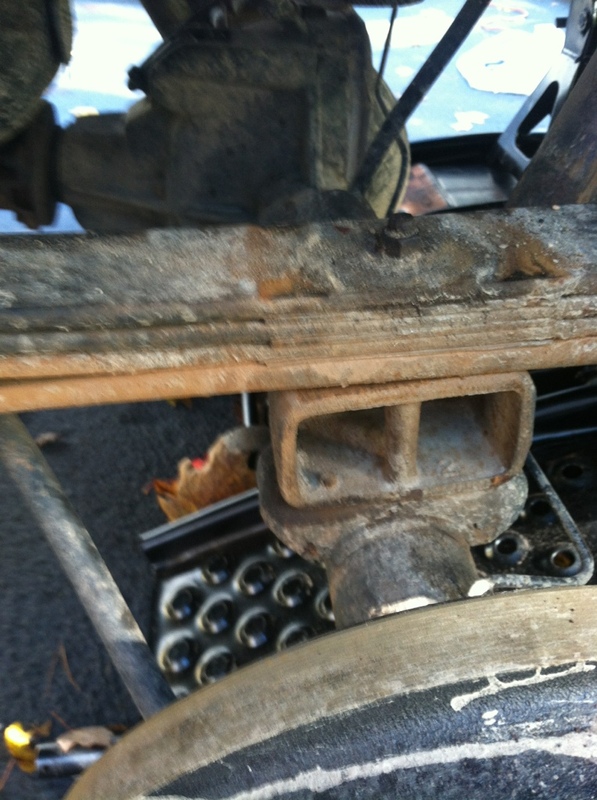 Slowly jack up the axle from the rear diff. Line up the new center pin so it goes into the hole on the top of the block. Tighten your new center pin to spec. You'll have to trim it as you go with the grinder or your socket wont fit. 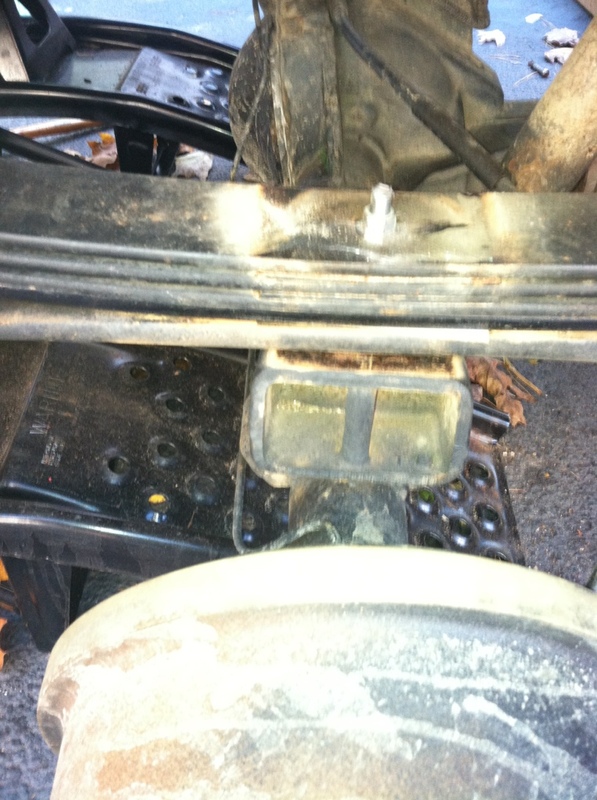 Grab your new u-bolts and nuts and slide them through the leaf spring plate on the top. Tighten, and torque to spec. Repeat process again for the other side. Last edited by 99offroadrngr; 10-16-2012 at 04:50 PM. Got some mega stink bug stance now? 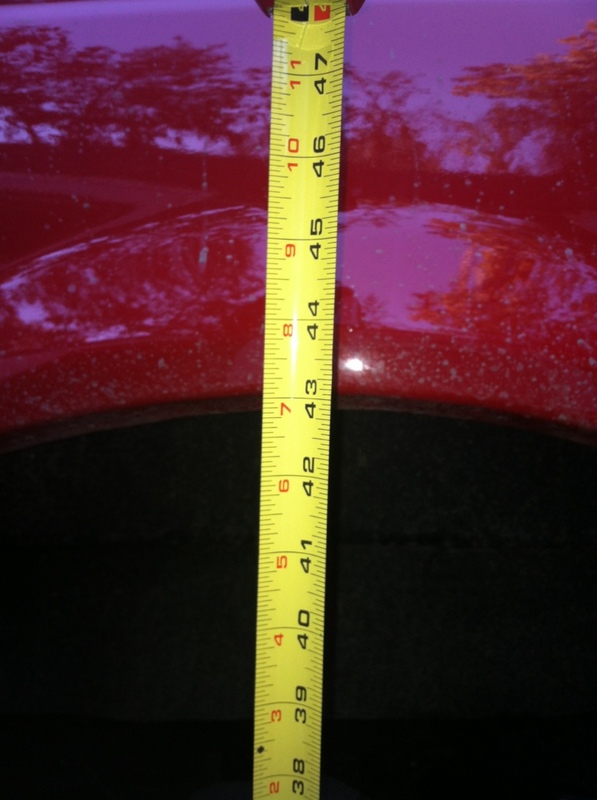 nah its about 3/4" higher in the rear but its definitely noticeable, won't be like that for long and ---- stinkbugs. they're everywhere this year. Last edited by 99offroadrngr; 10-16-2012 at 08:33 PM. Stink bugs carry their rear downwards. 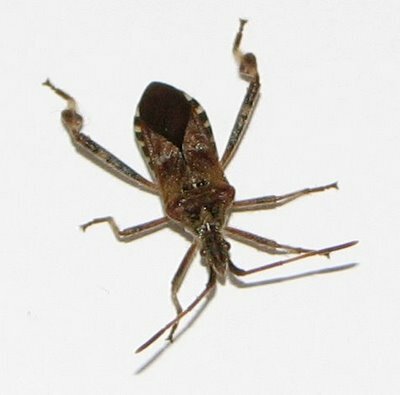 A pre-runner (with the nose up) usually has the "stink bug" stance. I have NEVER seen one of those... creepy little thing, huh? Awesome write up man, this is going to come in very handy. My one question is do you have the part number of the TC AAL? The only one I can find is for an '83 - '97. Are they the same for our trucks? 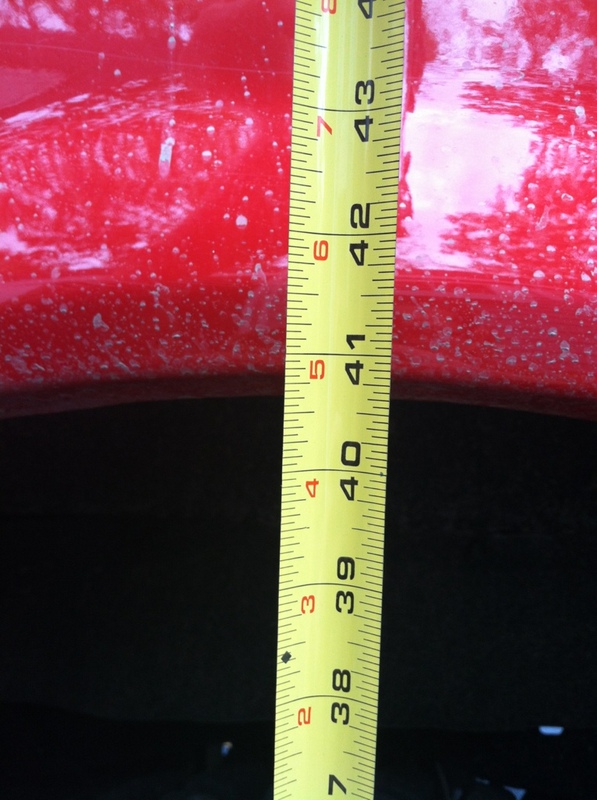 the last picture shows a 43" measurement, actually. if its "upside down" thats how the truck was assembled from the factory since it went in the same way it came out. Last edited by 99offroadrngr; 04-05-2014 at 08:18 PM. So u want to install an add-a-leaf? ?